Here are several features that make this App worth paying attention to. 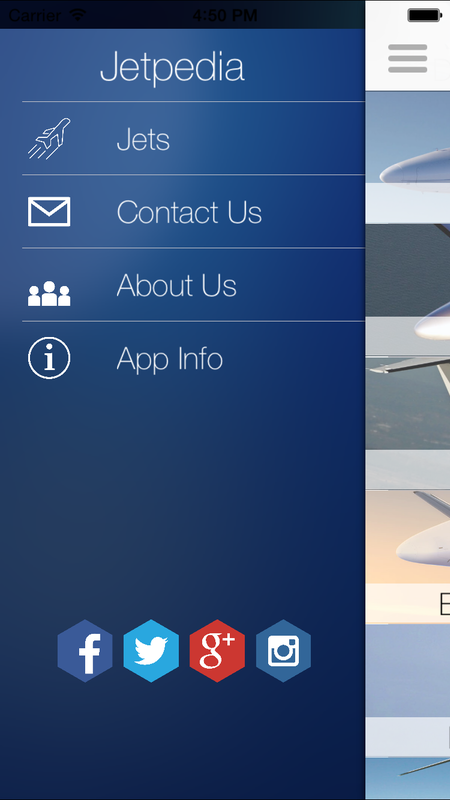 Jetpedia looks great on any device. 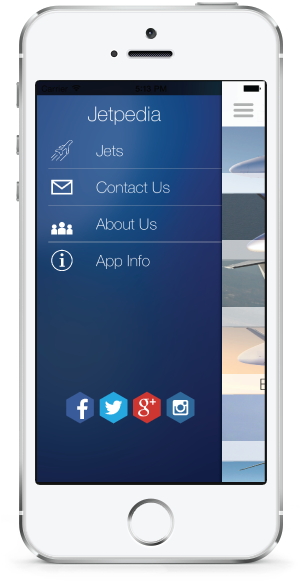 The Apps responsive design allows for smooth scrolling, and a simple search bar to easily find any jet listed. 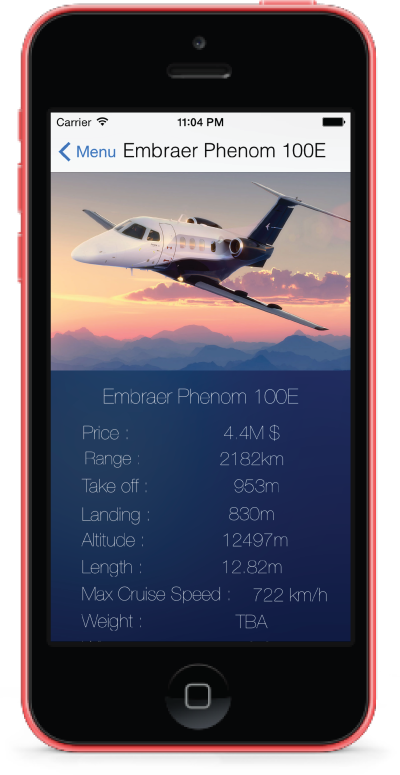 Sets of vibrant images will help you enjoy viewing each jet along with all its specifications and price. 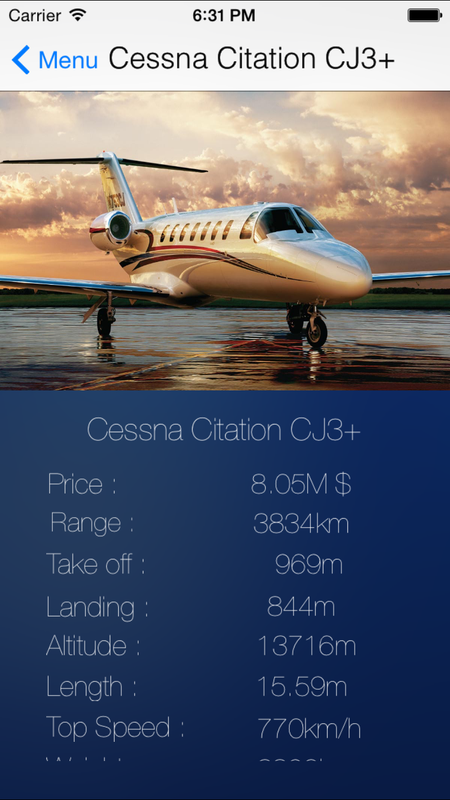 The Apps contents are constantly updated with new Jets and detailed information. No fluff. Just the pure essence of a convenient App with a clean modern fresh design. 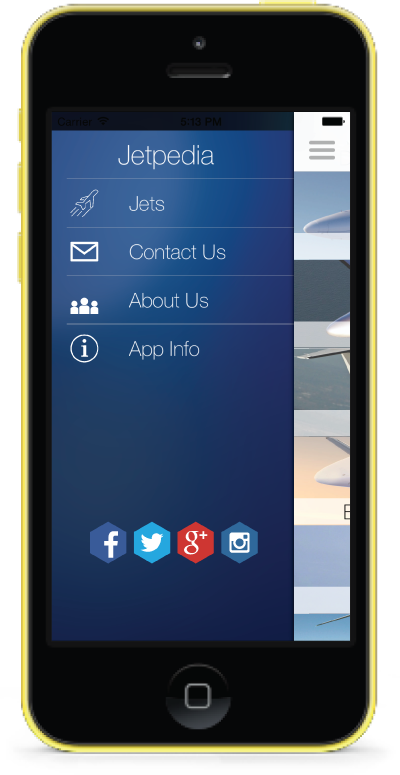 Performance enhancements to the App are updated on a regular basis to give the user the best possible experience. Multiple social media feed to share with family and friends. 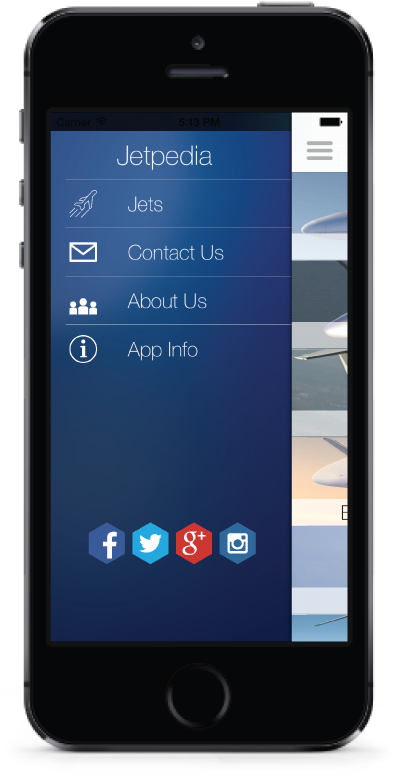 When the App starts up the user is taken directly to the list of Jets. The ease of navigating pages allows for quick searches at your fingertips. 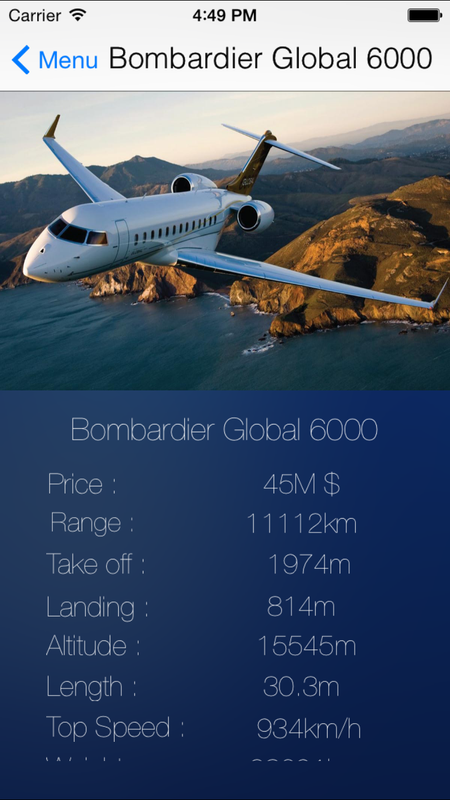 A concise list of private jet manufacturers all in one useful App. 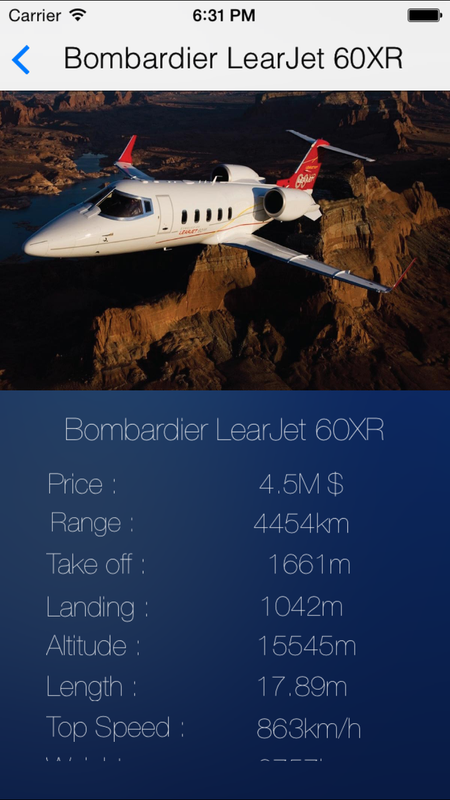 Jetpedia was created to offer a convenient way to quckly reference and view details on all types of private jets. 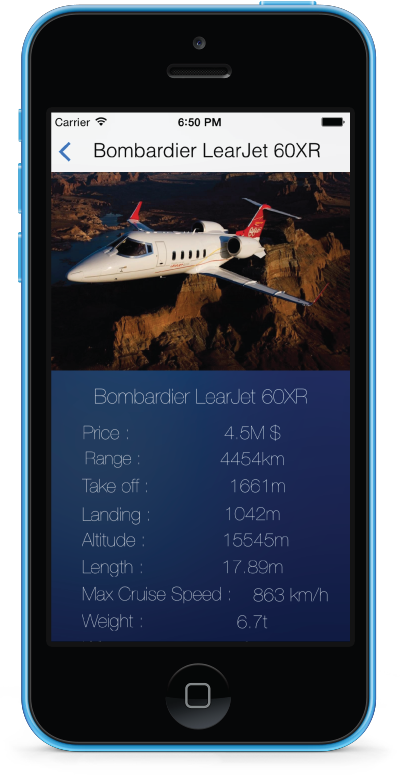 Whether you are in the market to aquire a private jet or simply love them, Jetpedia is the perfect information guide for you. This friendly approachable App caters to everyone. Private jets are becoming more and more popular amongst travelers who can afford them. 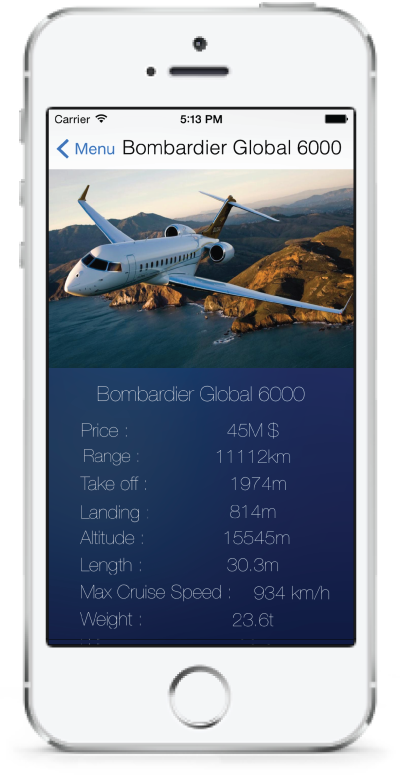 Until recently private jets were considered a matter of prestige and as a status symbol of the wealthy, but nowdays the private jet ownership is increasingly viewed as a business necessity. 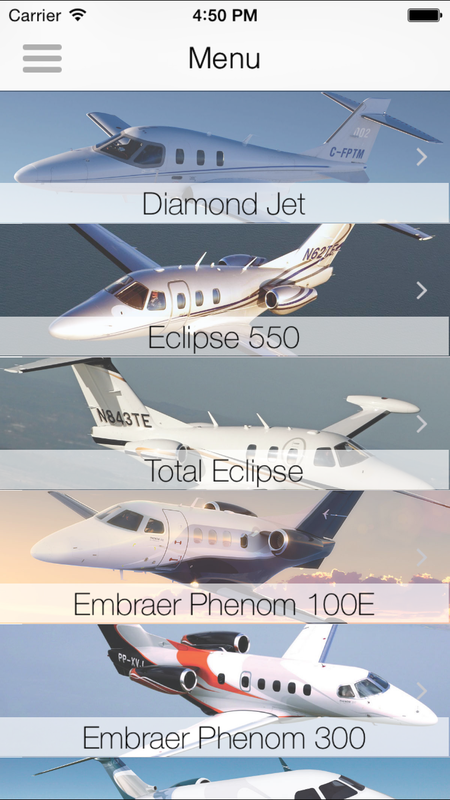 The private jet sector is rapidly growing, especially in countries like Europe, China, Africa, and the Middle East. Follow all our social networks. The latest news, updates & important information will be provided via social.